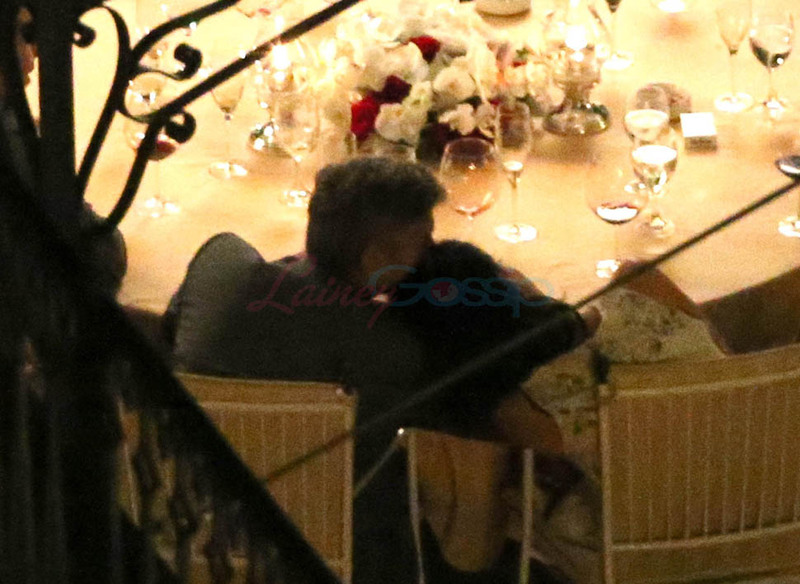 Amal Alamuddin and George Clooney had dinner at a restaurant in Lake Como recently. Body language! Photo Assumption! It’s the game way to play to gain insight based only on the highly unreliable art of reading pictures. Let’s first go back in the archives and take a look at their engagement confirmation photos here. You’ll recall, she had her hand around his shoulders then too. Back then, because those shots were released exclusively to PEOPLE and set up to look “candid”, that pose was by design. At the time, my read on it was that she’s relaxed and confident, an equal at the table who’s up for a challenge, and who is often the one who challenges. She is, after all, a barrister. By profession, she knows her debate. Here too we see Amal with her hand in a position of power and influence. Influence by intelligence? Presumably. Unless the United Nations habitually invites dumbasses to sit on war crimes investigation teams. That’s how I see it. Or, perhaps, how I’m meant to see it. You? PS. If I were them, I’d make the wedding the weekend before Labour Day weekend. Because everyone’s f-cking off between August 25 until September 2 anyway.